We know that your classic car is more than just a vehicle. It’s an event when you drive it and every time you see it, you’re reminded of why your car plays such an important role in your life. 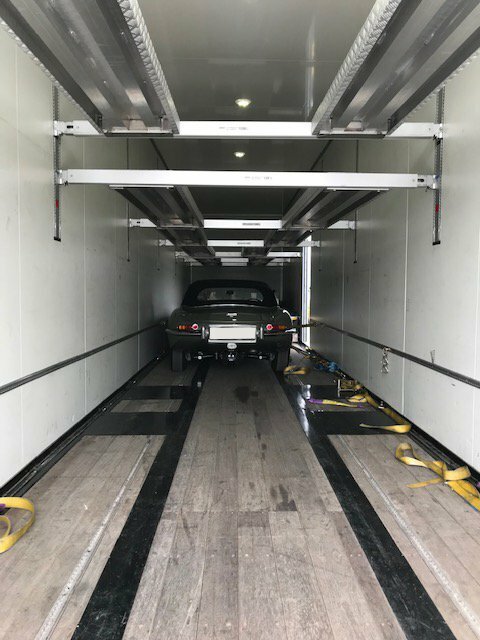 Our classic car transport UK service is built for people like you; we’ll get it from A to B in the safest, most secure way possible. If you use our classic car transport UK service (or require overseas transport), your motor will benefit from a fully-insured service. This protects your classic car during its time with us and ensures it will reach the eventual destination in the exact condition in which it left. We don’t just transport classic cars within the UK; if you need your beloved motor sending somewhere safely overseas, you’ll find Circuit2Circuit to be the most cost-effective way of doing so. Our Facebook page provides an insight into the lengths (and distances) we’ll go to transport classic cars safely around the world. Just tell us where it needs to be! If you’re a classic car owner who needs their treasured vehicle transporting somewhere safely, you’ll want to leave it in the hands of people who will treat it like their own. The Circuit2Circuit team is made up of lovers of classic cars and all things car-related. There really is no better company with whom to leave your pride and joy! We don’t just transport classic cars; if you want your classic to be stored for either short or long-term, we have two state-of-the-art car storage facilities set deep within Northamptonshire that will be the perfect home for your vehicle while you’re away. Fully climate-controlled and featuring round-the-clock security, there really is nowhere better to leave your classic car. Where do you want your classic car to be transported? Just down the road to the local bodyshop? Or Dubai? We will travel anywhere if it means getting your classic car to where it needs to be safely. Although we’re based in the UK, our team of highly-experienced drivers have spent years transporting classic and high-value cars all over the globe. You’re in safe hands. Our team are friendly, knowledgeable and don’t employ any annoying sales tactics - we’d just love to hear about your car and tell you more about our classic car transport service. So, if you think you might need some help from our team, just get in touch!